Look down at your feet in public, make very little eye contact, and hunch your shoulders. Great philosophical thinkers spend a great deal thinking and they don’t have time to look around them. They need to be focused on their abstract thoughts and the hustle and bustle of the public can be a great distraction. They need to look at their feet as a meditative exercise and to make sure they’re not going to trip over something. Make others treat you like they’re responsible for helping you. Constantly ask people if they can help you with something but don’t do it too frequently or they’ll get the idea you’re helpless. Also don’t do it enough that it will annoy them. The key is don’t be afraid to ask for help and even extra help when you don’t even need it. Try not to sound needy. If people close to you won’t help you in life, you’ve lost your job, and you’re close to homelessness, make sure you get a good social worker to help you get help from the government. Make enemies with the people who want the worst for you. In life you’re gonna make enemies. So make sure you find out who actually is jealous of you and is just trying to bring you down. Make sure you can figure that out. Keep your enemies close at hand, understand how they tick, and drive them nuts by responding positively to their negativity. When they try to make you sad, just say, “it’s a beautiful day out, don’t you think so? You’re kinda pretty too.” This will piss them off and they may learn to keep their distance from you being so nice and not letting them get you down. Compare yourself to an ideal self in the future, don’t think of your past. Always look to your future dreams as a guide to help mold you. Your dreams may not come true but make sure you have a rosy picture of the future of yourself and try to be that person. You may fail to become that person but maybe you’ll at least become an approximate version of that self. Set your ideal high. If you fail to make that ideal, hey, at least you maybe made it half way there. Let your children do things that make you mad but then learn not to be mad over time at them. Your kids are gonna try to piss you off, that’s their nature. Try not to be a tyrant over your kid but try to be their friend and parent. Exercise very restrained authority. Give them rewards for good behavior and make sure you give them plenty of time to make up for their mistakes. Take them to the park and let them play for hours. You may get tired watching them at the park, so make sure you bring you smart phone and play video games while they play their heart out. Criticize the world as you set your house in order. While you’re developing into your ideal human being you want to be, make sure you criticize the world for not living up to its ideal image. Politicians are bought by money, there’s greed galore everywhere, people in Flint, Michigan are drinking poison. The world is a terrible place. You likely are better than it by default. Make sure while you work on yourself you critique the terrible systemic social problems in the world. Make the world into an ideal image of it while you work on yourself and make yourself an ideal image. Pursue what is meaningful and what is expedient in equal measure. The more virtuous you are, the more you’ll learn what tools to use in life. Life is full of expedient tools. Math can help you see if you’re getting cheated it’s a good tool. But it’s important to remember to be more virtuous. That means be more kind, be more knowledgeable of old wisdom spoken by wise people, have more courage, and try to remain calm in tough situations. You’ll learn all the short cuts in life as you develop practical wisdom. Don’t read Nietzsche until you’ve read ancient Greco-Roman philosophy. Sometimes you should tell little white lies and withhold some truth if it will cause too much harm to another. Never tell your wife you think she looks kinda ugly, especially if she ages and becomes more ugly. But also learn to find the beauty in her as she ages. Never tell your husband he looks fat in his tank top when he’s gained a few extra pounds. If you’re late to work because you were being irresponsible managing your time, don’t tell your boss that you were being irresponsible. Make sure you have a very good excuse in mind for why you were late. If you have a friend staying the night with you and there’s an ax murderer asking for where your friend’s whereabouts are, make sure you lie to the ax murderer about where your friend is located. If you work for the CIA and the secrets will save hundreds to thousands of life with minimal sacrifice to anyone, make sure you keep those secrets. Assume the person you’re not listening to knows nothing. If you’re not listening to someone it’s probably because they don’t have anything of value to say. Most people don’t know what they’re talking about. That’s why there’s Ph.D. Philosophers and Scientists. Those people are the kind of people you will be listening to. They actually say very interesting and insightful things unlike your friend who thinks he knows it all but quit halfway through college because he was too wasted to finish. Most of the time in life you don’t have to specify exactly what you mean unless someone asks you to. So just keep talking and writing vaguely until it’s necessary to specify. Thinking vaguely can help you get a good vague feeling for an idea. It can help you know things within the ballpark. And most of the time that’s what matters. You know that an essay has 5 paragraphs and you know you have a general idea but you don’t need to specifically know what you’re going to write until the night before it’s due. Tell children not to be such a nuisance, especially when they’re near your house making lots of noise. Make sure you tell children to be more quiet if they’re making lots of noise right outside your house. Call them little rascals and that you’ll hose them down with water if they don’t go away. If they don’t go away, find out who their parents are and complain. Do not ever call the police though, they tend to worsen the situation. Plus their cars have loud sirens and those damn blinking blue and red lights that can give you a seizure. Spay and neuter your cats and make sure you let your neighbors know. That’s what Bob Barker always says. What do you get if you combine Stoicism and Ayn Rand? What do you get if you combine Stoicism with Sam Harris? 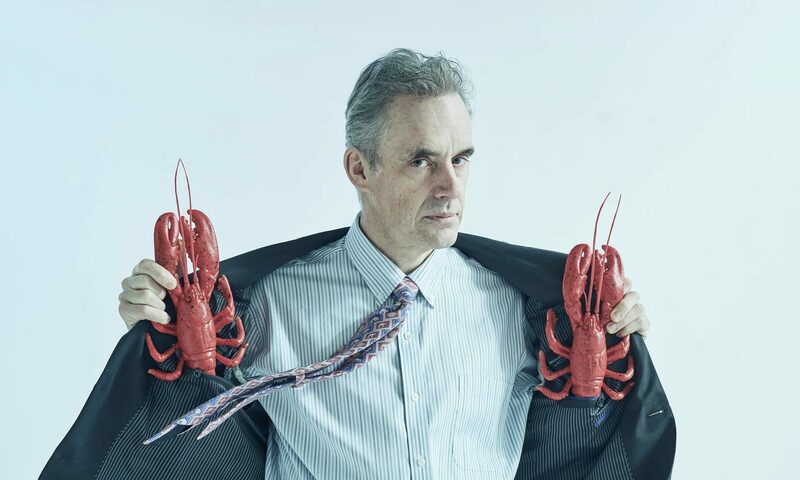 What do you get if you combine Stoicism with Jordan Peterson? You get Stoicism but with no social virtue and no egalitarianism. Also lots of lobster Sages high on serotonin. What do you get if you combine Stoicism with Richard Dawkins? You get a pantheistic God who is indifferent, blind, and pitiless. Also the Logos is a selfish gene in all of us.